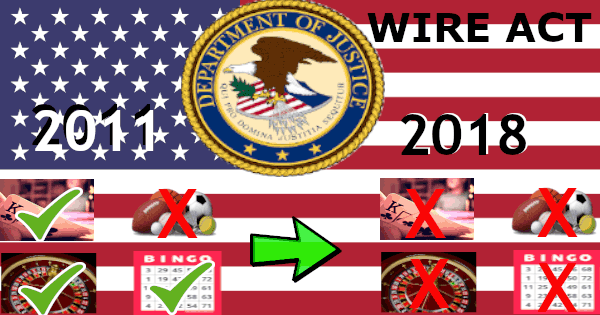 The United States Department of Justice (DoJ) has released an opinion through its Office of Legal Counsel expressing a new reinterpretation of the Wire Act whereby it applies not only to sports betting but rather all forms of gambling, including internet poker. The document was released to the public on Monday, Jan. 14, 2019 although it's dated Nov. 2, 2018. It overturns a previous memorandum from September 2011, which held that the Wire Act's prohibition on transmitting betting information across state lines only applied to betting on sports and not to online poker or other forms of real money internet gaming. 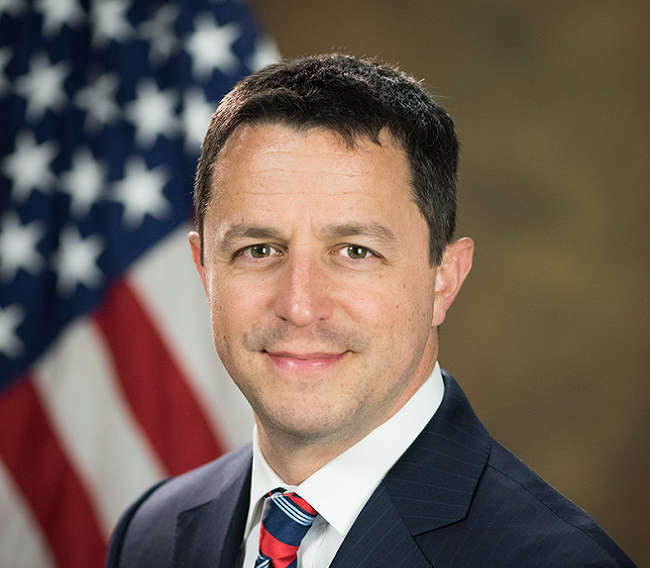 The new interpretation was penned by Assistant Attorney General Steven A. Engel while the author of the now-defunct 2011 memorandum was then-Assistant Attorney General Virginia A. Seitz. The Department of Justice's new opinion – and the old 2011 interpretation for that matter – treat almost exclusively with paragraph (a) of the Wire Act. In particular, the uncertainty contained in the text of the Act revolves around the phrase “on any sporting event or contest” and whether this restriction on the scope of the law applies only to the “placing of bets or wagers” or whether it's relevant to the other actions listed in paragraph (a). All four of these proscriptions, together with phrases modifying them, are merged together into one lengthy sentence, making it difficult to determine which verbiage applies to which activities. Under the old 2011 reading of the law, the words “on any sporting event or contest” were held to qualify all four of the restricted forms of wire communication. This made the entire Wire Act focused almost exclusively on sports betting, leaving other types of gambling legal at the federal level. The new assessment of the Wire Act stipulates that “on any sporting event or contest” modifies solely that portion of the law related to “information assisting in the placing of bets or wagers.” The other three constraints on the use of telecommunications facilities include other gambling pastimes in addition to sports betting. After issuing its opinion, the Department of Justice stated that enforcement of the new directive would be paused for 90 days until April 15. This will give all affected states and companies some time to ensure that they'll be able to comply with the new guidance. At the beginning of March, the DoJ confirmed rumors that it was extending this deadline by 60 days. Entities now have until the middle of June before they have to worry about being targeted for Wire Act violations under the provisions of the new interpretation. The heavy criticism the DoJ faced in the wake of its opinion is probably at least partially responsible for this delay. The fact that it is being sued by New Hampshire and several other actors possibly played a role in this decision too. Depending on how these lawsuits develop, the DoJ may be barred from enforcing its new interpretation even after the mid-June target date has passed. Because the Wire Act specifically deals with data transmission “in interstate or foreign commerce,” it would appear that regulated single-state lottery, poker, casino, and sports betting endeavors are left intact by the new interpretation. However, any such enterprises that involve crossing state lines are no longer kosher. The multi-state compact for poker player traffic sharing between Nevada, New Jersey, and Delaware is probably illegal now. Nevertheless, regulated online poker will almost certainly be allowed to continue among residents of each of these states separately. Daily fantasy sports also faces an uncertain future in the country. It's not yet clear whether this industry is considered a variety of gambling at the federal level or whether it's a skill game. Quite a few states have passed laws allowing DFS within their borders, most recently Louisiana, but they all permit people to compete against individuals in other states. This last point may cause DFS to now be considered as violating the precepts of the Wire Act. As far as offshore gambling goes, it's business as usual. The firms concerned with this activity were already in violation of the Wire Act anyway because almost all of them offer sportsbooks in addition to casinos and poker rooms. The only additional negative consequence international online gaming companies are likely to encounter is that their executives who visit the United States may face extra charges involving their non-sports related products. This is mostly a moot eventuality because the individuals at risk of arrest – like former Bodog CEO Calvin Ayre used to be – are wise enough to avoid setting foot in the United States at all costs. Regardless of the legalities involved, some payment processors, like credit card issuers, may decide to introduce a blanket ban on gambling-related transactions even for properly licensed gaming activities. Rather than going to the trouble of evaluating each case and merchant individually according to state laws, the UIGEA, and the Wire Act's provisions, conservative banking and financial organizations might just opt to forgo this business altogether. There are some that have already taken this route, and the fact that the Wire Act just become much stricter may lead others into following. 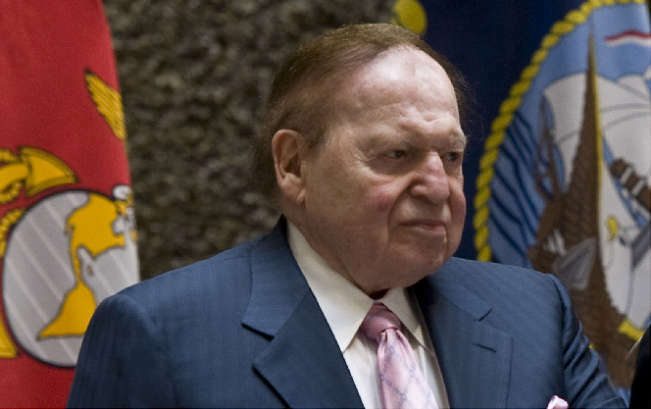 The Coalition is funded largely by billionaire Sheldon Adelson, implacable foe of all online gambling. He has donated big money to the campaigns of powerful politicians and therefore wields considerable influence in Washington, D.C.
Adelson is concerned about problem gaming and the dangers posed to the youth of the United States by unfettered, 24/7 gambling by computer. The fact that he's chairman of the Las Vegas Sands corporation, a big player in brick-and-mortar casinos but a laggard in the online arena, has nothing whatever to do with his opposition to internet gaming. NOTHING WHATEVER. …the Justice Department just publicized an opinion stating the Wire Act applies to all online gambling — giving Adelson the long-sought victory that he’s been fighting for all these years. If and when he wins, the Constitution and over a dozen states will lose. Four states have legalized online gaming, and plenty of others have authorized the sale of lottery tickets online since the DOJ began the legalization process in 2011. Why should the financial urges of one casino owner trump the constitutional rights of the individual states and the choices of their residents? On Jan. 14, 2019, the Department of Justice’s Office of Legal Counsel issued an opinion reversing its 2011 position on the Wire Act and sports betting, contradicting not just itself but decisions by at least two District Courts and dicta by the U.S. Supreme Court by maintaining that the Wire Act prohibits all interstate wagering activity…The Opinion glosses over case law precedent and largely ignores the legislative history that accompanied the Wire Act, which supports the original 2011 Memo’s take on the Wire Act’s reach being limited to sports betting. In arriving at its opinion, the Department of Justice had to rely on a sophisticated understanding of the rules of the written English language. Certain of the staff members of ProfessionalRakeback are known for their perhaps overzealous attempts to get the wording and grammar of sentences exactly correct, but the esoteric nature of the matters brought up by the DoJ in this document had us reaching despairingly for our copies of Strunk & White and Roget. What, Dear Reader, are we to make of the Department's reliance on “the series-qualifier rule,” “the last-antecedent presumption,” “introductory determiners,” “parallel phrases,” and other minutia of English construction? Ironically, the opinion claims that its conclusion is based on “the plain language of the statute”! Does one need to be not only a lawyer but also a linguist to understand the acts of Congress nowadays? We here at ProfRB are occasionally guilty of slipping a highfalutin word or two into our articles every now and again, like “volte face” and “denizens,” but we have to bow our heads in acknowledgement of the superiority of the Department of Justice in this area. For sesquipedalian prolixity, they're the nonpareil doyens. Rather than attempting to walk you through the DoJ's convoluted thought process, which we barely understand ourselves, we'll just report that the logic employed is by no means straightforward, and we'll leave it at that. Reaching a contrary conclusion from our prior opinion will also make it more likely that the Executive Branch’s view of the law will be tested in the courts. It's therefore quite possible that this interpretation will be short-lived, and we foresee that the next time the government attempts to use the Wire Act against internet casino or poker operators, it will be strongly challenged by the defense. 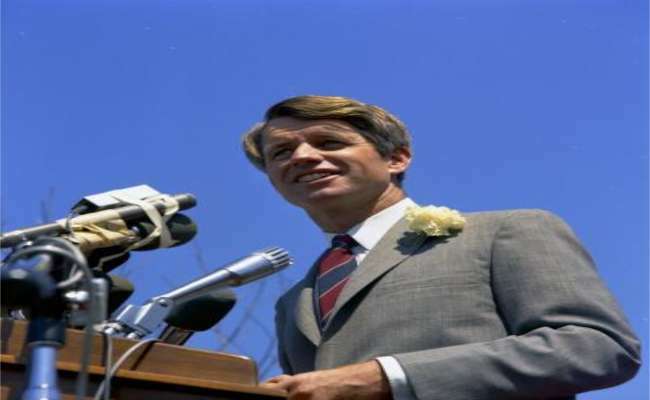 The Wire Act was the brainchild of U.S. Attorney General Robert F. Kennedy. It was passed in order to give law enforcement another tool to use against the Mafia, which, at that time, gained substantial revenues from illicit bookmaking. If the Wire Act was not envisioned as pertaining to “numbers,” often closely allied with underground sports betting, then it's a real stretch to imagine that its drafters contemplated its being used against casino games and poker. And, of course, within the era we're talking about, it's impossible that they would have foreseen its application to internet wagering. Nevertheless, once online gambling sites began to appear in the late '90s, officials at the DoJ and other agencies claimed that they were illegal under the Wire Act. In relation to online betting on sports, the courts have largely sided with the powers that be. However, the record with regard to other forms of gambling is mixed. Some courts opined that the Wire Act only dealt with sports betting while others decided that other wagering activities fell within its remit too. In December 2009, Illinois and New York requested clarification on this point as they wanted to begin to offer lottery tickets for sale online and were concerned about the legalities involved. In September 2011, the DoJ answered their queries in a memorandum that expressed the view that the Wire Act should be strictly construed to tackle sports betting only, and it had no applicability to lottery products. This also removed all other kinds of gambling, apart from wagering on sports, from the remit of the Wire Act in the eyes of the DoJ. Given its history of criminal proceedings against unauthorized poker, casino, and lottery operators, the Criminal Division of the Department of Justice was not pleased with this opinion. They, and allies like Sheldon Adelson, began lobbying to have it overturned. Indeed, it was Acting Assistant Attorney General Kenneth A. Blanco of the Criminal Division who requested that the Office of Legal Counsel reconsider its perspective on this issue in a document dated May, 26, 2017. This is what sparked the recent review and the new guidelines dated Nov. 2, 2018. As we mentioned above, firms that are based outside the United States have little incentive to comply with the Wire Act's meddlesome details. Many of them are willing to accept American customers and are largely beyond the reach of the authorities. The new viewpoint of the DoJ has almost no bearing on them or their businesses. If you're looking for a fine online poker and casino site, then we urge you to consider Ignition Casino. It provides new clients with a 100% up to $1,000 poker bonus and another $1,000 for casino games. You can learn more about what to expect with our detailed Ignition Casino Poker review. One thing that Ignition lacks is a sportsbook. Its sister site Bovada.lv does have one in addition to its poker room and casino division. The only drawback is that Bovada's poker bonus is 100% up to $500 as opposed to $1,000. Yet, if you like sports, then you may find that the inclusion of a sportsbook more than makes up for this minor negative. Consult our thorough Bovada Poker, Sportsbook, and Casino review for additional info. If neither of these two options catches your fancy, then we've composed a general guide to the best places for USA offshore poker that may pique your interest.